I didn't try to argue with him about Saudi Arabia, because I know next to nothing about oil production there or anywhere else. I'm just following the advice of a mentor and friend, the economist Julian Simon: if you find anyone willing to bet that natural resource prices are going up, take him for all you can. I predict Julian Simon is going to be rolling around in his grave, sooner rather than later. This macho man throwdown will prove a bridge too far for the cornucopian set. Oil isn't Joe Random natural resource; oil is that which digs copper and tin out of the ground, melts it, and transports it. Oh, you thought people did that? The guy with the hard hat? Oil production peaks whether or not one knows "next to nothing about oil production". John Tierney gave Simmons his due in this column, but from the start framed it as an "issue" which could be spun into a useless confection of empty rhetoric wherein he praised the past acumen of his mentor; slavishly following the form without realizing that there may be limits in the world. Something to entertain the grandchildren with when the doomers were proved wrong yet again. Would that we be so lucky. Good analysis, MG. It's as if Tierney is declaring that to bet against a possibility is to extinguish it. In this sense, he seems an excellent study in the mechanics of denial -- the same mechanics in principle that drive our economy today: profit as logic; gambling as reality -- in a collectively condoned detachment and free-fall from reality altogether. Right. In no way was he insulting to Simmons or the idea of peak oil; I think he just smelled a good column, a good contrast with someone he respected. Unfortunately, he adds little content to the discussion, and in fact muddles it. But we are all guilty of muddled thinking from time to time. It is hard being a chimp. 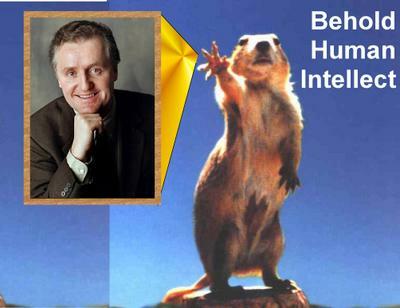 So you like the image og the Lemming taking on the NY Times intellect? I added a few links at Lemmings on the Ledge to specifics on fishery collapse and loss of fresh air, both are "natural resources"
Lem: Your site is great, funny, and I plan to highlight it in the near future.